​Opus began construction late summer 2014 for The LAB – a 125,000-square-foot boutique office development located along Denver’s historic Platte Street. Now, with the foundation for the 4-story office building in place, steel installation is well underway. 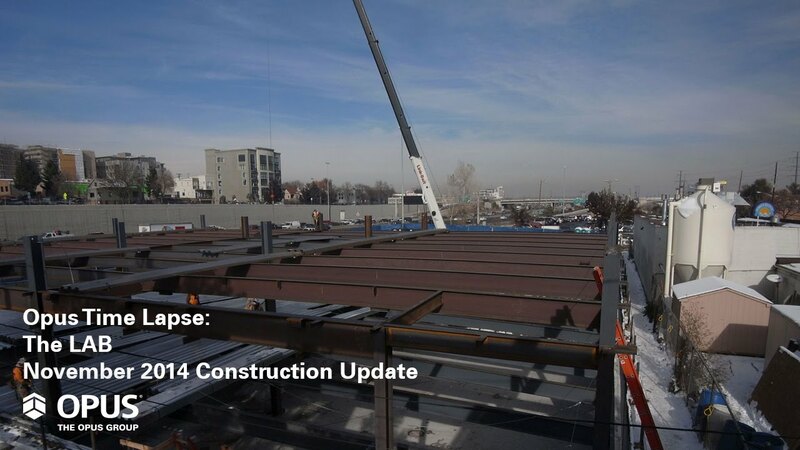 Once complete in June 2015, the class A office space will be a destination workspace featuring open, collaborative floor plans in a prime a location near Denver’s Lower Highlands neighborhood. Situated along 1-25 the urban office complex will be highly visible from the freeway and feature a top floor balcony and downtown views. The transit-oriented development also features easy access to the Highlands Pedestrian Bridge, parks and trails and is just a short walk to nearby public transit options.